Like many Sierra Leoneans at home and abroad, the long awaited decision of Kandeh Yumkella to return to Sierra Leone, presents the nation with renewed hope, especially given the ridiculous situation going on at State House at the moment. Kandeh by far and a long way, currently towers above any Sierra Leonean public figure and has the integrity, credibility, strategic thinking, political experience and drive to drag Sierra Leone kicking and screaming from the decay, malaise, stupor and wretchedness in which the country has been for more than forty years. As such, he has a tremendous capacity to bring hope to the hopeless and help the majority of Sierra Leoneans to fulfil their hopes and dreams for themselves, their children and future generations. What Kandeh Yumkella needs to do to be successful, is to rid Sierra Leone of the politics of patronage. It is this form of politics that has allowed corruption to become so endemic and become fully woven into the fabric (every fabric) of society. But we have been here before – we have had good people, with a lot of international kudos, who have been well meaning, but only to arrive in Sierra Leone (their palm-oil bottle), and have become corrupted. I do not wish to personalise attacks on anyone and trivialise the point I wish to put across – so I would not mention any names. However, he would make a fundamental mistake, if he is to align himself with some of the dubious names mentioned in your article of potential candidates for running mate. The problem of patronage politics is two-fold: It assumes that politics is a zero sum game and as such, it is very much about short-term private gain. Unfortunately both APC and SLPP (your readers may not like to hear this) have peddled this approach to politics. Rather than growing the economic, social and political cake so that the wealth created would be distributed to the many, this form of politics results in a fight over a diminishing economic, social and political cake in which the majority lose, and only a handful of elites win – in the short term, through routine and widespread graft. Kandeh also needs to rid Sierra Leone of the politics of “aka” and “strong men”, which is another consequence of patronage. This approach breeds political violence, suppression of freedom of speech, abuse of the rule of law – and many of the names touted above and in the APC ranks have peddled this form of politics. 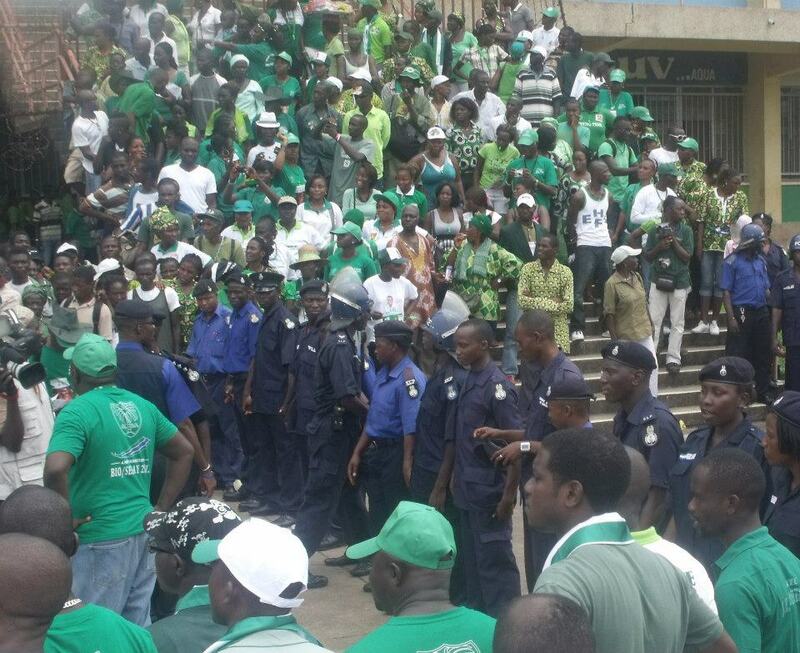 There are just too many thugs – “wrah wray boys” involved in politics in Sierra Leone and the SLPP head office needs to be disinfected of these elements. Kandeh should not assume that UN experience and his own benevolence and good intentions are sufficient. He needs to build a coalition of willing, able and competent Sierra Leoneans (and there are many who would support him), if he is to be successful. I recall in 2007 urging the newly elected Koroma to pursue legacy over short-termism. Koroma raised the hopes of many, with so-called Agenda for Change and Attitude and Behaviour Change and Running Sierra Leone Like a Business. All of this has proven to be very hollow. 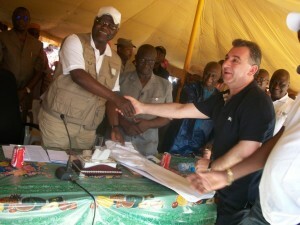 But this is the difference; Kandeh has a solid pedigree as an international civil servant and diplomat, combined with a solid academic background in subjects relevant to the development context of present day Sierra Leone and strong personal ethics – compared to Koroma’s experience of running an insurance company. Everyone should have known that insurance companies in Sierra Leone are nothing more than scams of the poor people who are required to buy policies, on which insurance companies never pay out. Just imagine this – every time there is a motor accident in Sierra Leone, it is usually settled with “ah beg you pardon oh” rather than a payout by the insurance company. We should have known that someone from such an industry is bound to be a let down. 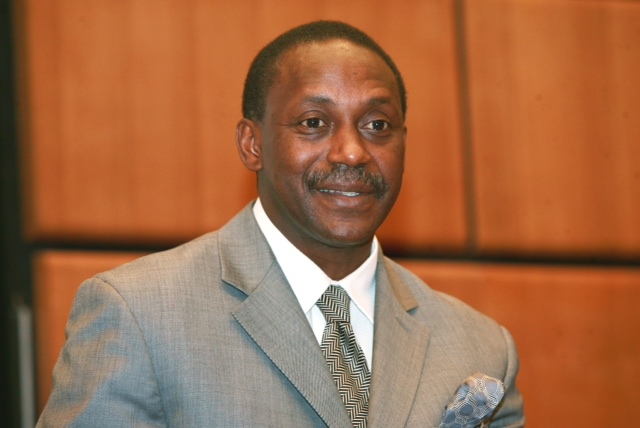 Kandeh – I appeal to you to reach beyond the SLPP and build a coalition of the willing. Ditch the politics of patronage, so that we can build effective institutions and a strong economy, and restore hope to our people by creating job opportunities, developing skills and providing education for all our children, restoring dignity to our women and older folk and returning pride to Sierra Leone. The last time I checked, neither illiteracy nor exposition were part of the Kilimanjaro of problems besieging our development. Rather, it is and has always been cowardice, and the simply lousy citizenry and very dismissive leadership we’ve all provided for ourselves over the years.